The York Catholic District School Board is pleased to announce its new Multi-Year Strategic Plan. 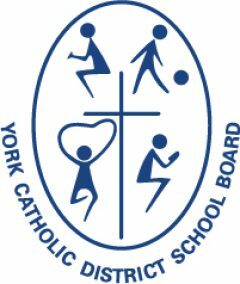 The plan was created to set priorities and direction, as well as focus energy and resources to position York Catholic for continued success as one of the top-performing school boards in Ontario. The Board’s Multi-Year Strategic Planning process began in March 2013 with Trustees and Senior Staff. A Strategic Planning Advisory and Steering Committee was established to begin the process of revising the Board’s Mission and Visions statements, as well as the Board’s Core Values. A number of collaborative consultations followed, and the “Planning Our Future Together On-line Survey” was created. The survey invited all Board stakeholders to provide their input related to the Mission, Vision, Core Values and Board Priorities and to identify strengths and areas for improvement. A total of 2,723 stakeholders participated in the on-line survey. Some of the top priorities, identified included: ensuring our schools are safe and welcoming places; striving for high student achievement; ensuring there is equity of opportunity for all students, and providing meaningful faith formation for all students and staff. View the “Planning Our Future Together On-Line Survey” results. The survey feedback informed the Board’s new Mission Statement, Vision Statement, Core Values and Strategic Commitments. We thank everyone who provided input into the plan and we encourage all of you to become familiar with our Mission, Vision, Core Values and Strategic Commitments. Action plans for each of the Board’s four Strategic Commitments are currently being developed for the next three years. The Multi-Year Strategic Plan will guide us in all that we do as a Board – it will inform the Board Improvement Plan for Student Achievement, all of the Board’s department and operational plans, as well as shape the Board budget. Visit this site as often as we will continue to post information as we develop the plan. Nurture the Catholic faith and spirituality of all through relevant and engaging religious education programs and experiences. Foster a culture in which daily interactions and practices are respectful and inclusive, and inspired by Gospel Values. Support members of our community on their faith journeys. Nurture well-being by supporting students to become resilient, optimistic and responsible. Promote academic excellence through programs and educational experiences that prepare students for success in the 21st century. Foster a culture of instructional excellence that is welcoming, engaging and inclusive. Provide a safe, supportive and healthy environment. Ensure that the budget is shaped by strategic priorities. Manage our resources in a sustainable and effective manner. Provide stakeholders with opportunities for input and/or feedback that supports or informs Board decision-making. Develop and implement communication practices and procedures that improve the quality and timeliness of Board communication. Establish community partnerships that assist with the achievement of the Board’s strategic commitments.